Then, we advise you to go to Toulouse, which is about 2 hours and a half away from Bordeaux. You will be seduced by its colourful streets and monuments, starting with the Capitole, stunning for its rose marble pillars and statues. During the day, you can admire this place and wander in the charming streets nearby; but when lit at night, this beautiful monument becomes highly outstanding, and we are convinced you don’t want to miss that either. As for religious edifices, you will be amazed by the particular shape of the Basilique Saint Sernin and the Eglise des Jacobins. If yearning for more nature, you will be pleased by a wander along the Canal du Midi, which was designated at UNESCO World Heritage Site. Finally, if you are eager to discover more quirky activities, you should visit the Airbus factory, which is one of Toulouse’s biggest success and pride. To continue this France itinerary, next you should go to Provence, especially in two cities: Aix and Marseille. In Aix, let yourself be charmed by the “Cours Mirabeau”: this alley is full of gorgeous fountains and gardens which will bring you to a little heaven of pureness, inserted among splendid hotels such as the famous Hotel de Villars. Then, if you want to change for another atmosphere, go to Marseille, the “phocean city” where there are plenty of treasures. Some are religious, as the Basilique Notre Dame de la Garde or the Cathédrale la Major; some are historical, as the Castle d’If or the Palais Longchamp. But maybe the “must see” is the Canebière, a huge and lively street leading to the old Harbour of Marseille. 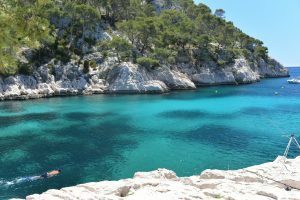 From there, you can plan an excursion to the Calanques which will amaze you by the contrast they offer between the rocky cliffs and the turquoise-blue water of the sea. Once revived by such a natural show, head to Lyon. Its historic site is registered in UNESCO World Heritage Site, which already informs you the delight you will feel discovering this city. First, take time to wander in the Quartier Saint-Jean in which the paved little streets, the artisanal boutiques, but also the Cathedral Saint Jean will seduce you. 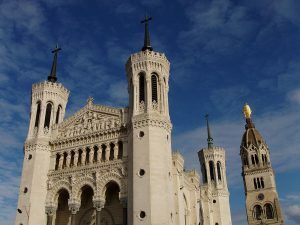 Then, an inescapable monument certainly is the Basilique Notre Dame de Fourvière, for its magnificence in dimensions but also in the idea of pureness spread by its fair colours fair. Don’t forget to enjoy the view it gives upon the entire city, crossed by the Rhône. By the way, a walk along the river may meet your expectations of nature, but the Parc de la tête d’Or will undoubtedly fulfil them. Finally, for an uncommon visit of this city, try to find the Traboules, starting from the top of the Croix Rousse for instance: they are hidden ways silk workers used not to damage the material, you can find them pushing doors and seeing if they open on a secret passage ! 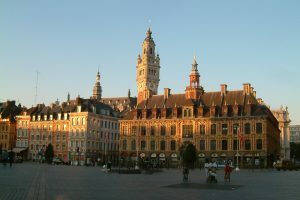 To end this France itinerary, if you are leaving from Paris, we recommend you to go to Lille since it is about 2 hours and a half away from the French Capitol. 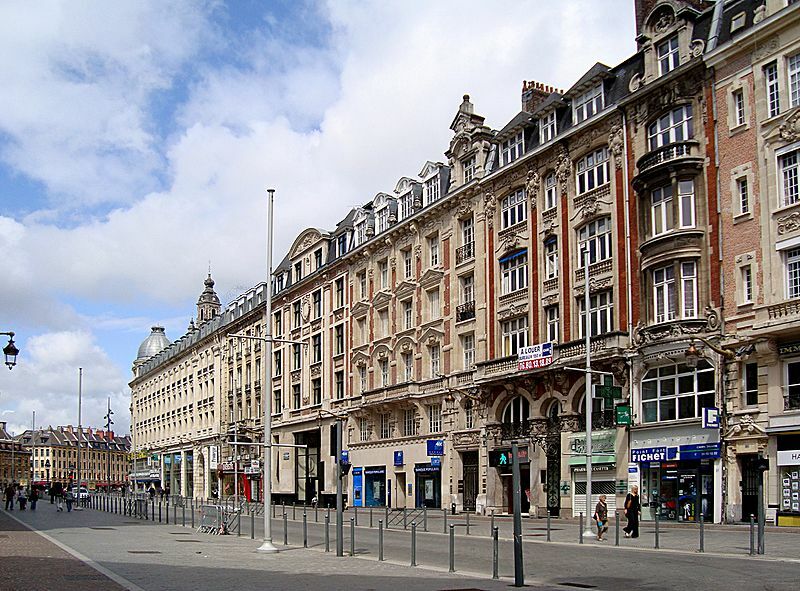 This very charming city is above all known for its “Vieux Lille” district, which architecture is full of colours, and which sinuous streets are covered in paves. 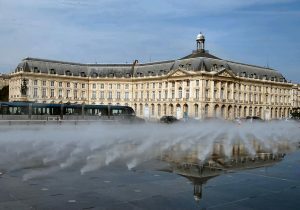 You shouldn’t miss either its impressive monuments; some are gathered in la Grande Place such as la Vieille Bourse de Lille, but you can also be as much admiring in front of the Palais des Beaux Arts or la Librairie Furet du Nord. Thus, if you have a spare day, don’t hesitate to enjoy a moment in this very lively and appealing city !